As October surprises in politics go, it wasn't much of one. But this month's appearance of Joe the Plumber, coupled with a YouTube clip featuring a younger Barack Obama talking about "redistributive" measures, have injected taxes into the presidential campaign's last month. If we're entering a recession of unknown scope and duration, as seems to be the case, this would be the worst time to raise taxes. Unfortunately, both Barack Obama and John McCain have less-than-stellar records on this point. The next president and Congress should take a lesson from their predecessors' failed policies during the Great Depression. That's when President Hoover signed into law the Revenue Act of 1932, which ended the low-tax policies of the 1920s with the largest peacetime tax hike in the history of the country. The Revenue Act hiked corporate income taxes, doubled the estate tax, and raised the top personal income tax rate to 63 percent. Wartime excise taxes were revived, and new taxes were slapped on gasoline, tires, cars, telephones, bank checks, electricity, toiletries, jewelry, stock transfers, and so on. that forcible wealth redistribution was "the American thing to do." Well, we know how that particular exercise in patriotism worked. During the Great Depression, the stock market fell by 90 percent, the economy contracted by 30.5 percent, and unemployment reached 24.9 percent. To be sure, tax hikes alone didn't account for that decade's misery. Four years ago, a pair of UCLA economists calculated that other New Deal policies probably played the largest role in prolonging the Great Depression by seven years. But higher taxes are nevertheless a sure way to delay a recovery. In times of economic strain, reducing taxes will stimulate healthy economic activity. Raising them will reduce disposable income, shrink spending, and lead to a contraction in economic activity -- precisely what politicians claim they don't want to do. It's also no way to create jobs. Yes, it's true, as I wrote in last week's column, that government spending has run amok under President Bush and taxpayers are now being forced to pay over $500 billion a year in interest on the government debt. But the better way to balance the budget -- remember that quaint phrase? -- is to gradually reduce government spending. Too much attention has been focused on Obama's proposal. That includes letting the scheduled 2011 tax rate hikes occur, boosting taxes on what the Tax Foundation calculates to be 50 percent of small business income, and even doling out money to Americans who pay no income taxes. These reveal what a President Obama would like to do. 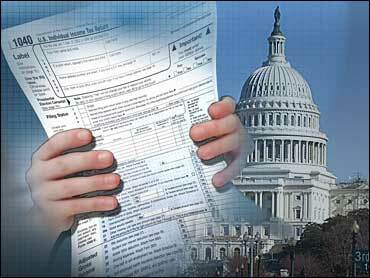 The reality, though, is that Congress, not the president, writes tax laws. 1992 Democratic Party platform once it landed in a theoretically sympathetic Congress. Though the specifics may not match Obama's campaign promises, his fellow Democrats do seem to agree that some sort of tax hikes are necessary. Massachusetts Rep. Barney Frank has already been saying that "there should be tax increases" after the election. Look for his colleagues to push through increases in the rates for income taxes, capital gains, and dividends, regardless of their effects on jobs and the stock market. President Bush's veto threats and opposition from a Republican Senate minority have thwarted some tax hikes in the recent past, including a cigarette tax increase and a windfallprofits tax" on oil companies -- an especially odd idea now that oil prices have plummeted from $145 to around $63 a barrel. If the Democrats sweep the White House and the Senate, those limits will disappear. This has given McCain his best argument for being elected, which isn't saying much: vote for me if you want divided government. McCain now says that he will "maintain" the current income tax rates and oppose the automatic 2011 income tax hikes. But the Arizona senator's problem on taxes is that he's wishy-washy in a way that George W. Bush, for all of his flaws, was not. On Internet taxes alone, in two of four votes I tabulated for a Technology Voter Guide in 2006, McCain voted in the pro-tax direction. The broader scorecard from Americans for Tax Reform shows that McCain voted against the 2001 Bush tax cuts, against a permanent repeal of the death tax, and against the subsequent 2003 acceleration of the tax cuts. Those were arguably the three most important tax-related votes in the last decade. Unfortunately, even though the economic picture is darkening, we're left with a less-than-inspiring choice of major party presidential candidates. Unless they learn from the mistakes that Hoover and Roosevelt made, a likely recession could turn into something worse.